The challenges faced by many visitors and potential business entrepreneurs in China are the language barrier. 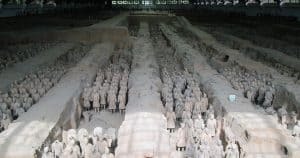 If you are a first-time visitor or you wish to independently tour the city of Xi’an, the birthplace of the Chinese Civilization, you will need a Xi’an interpreter. Not only is the Province of Xi’an rich in ancient historical artifacts but the variety of street food, local products, and the rich cultural background will want to know more about this old city. Even though the city is a tourist hotspot, the local is still tied to their regional dialects. Buying things, bargaining for prices and replying to queries are most effectively done in the Guanzong dialect which is not familiar to people speaking other variations of Chinese. But our Xian interpreter can help you explore the place, culture and business prospects. Our agent will provide you with skilled English and Chinese interpreter in Xi’an. She is a qualified communication skills expert with many years of experience in the field of guiding, translating and interpreting Chinese to tourists. She is also well acquainted with business terms and etiquette’s so she can multitask between being an interpreter and a business guide in Xian. She is also trained t take notes and translate texts documents and help you read and interpret various files and contracts. With extensive knowledge in local and international language and cultural ethics, out female interpreter can help you bridge the gap between various language differences and cultural diversities. Highly recommended by many old and new clients for her first-hand experience exploring the vast country, she will guide you through the various challenges that come with communication gaps. Xi’an is a hub for commercial exchange and trade fairs. Many people in business interested in trading with the locals fail to strike a good deal due to the communication gap. However, our English translator is equipped with the right knowledge and the best places to strike a business deal. She understands the need of a business person to conserve time and money, and she can expertly help you talk to the local traders with poise and ease. Our service provides local interpreters every day of the week. To ensure that you have the best experience in Xi’an, we make sure that our agents are verified and professionally trained to match your convenience. We also have a backup Xi’an interpreter for cases of emergency so that your tour and events go on smoothly. We believe in transparency and honesty in providing our services. We ensure that the interpreter has no criminal records and is documented. The prices for hire are flexible per hour or on a daily basis at competitive rates. We also offer discounted rates for loyalty and reliability. If you are interested in getting a quote, leave us a message, and we will ensure that your itinerary is planned according to your convenience and with no hassle so that you can enjoy the rich culture of the Province as much as the locals do. If you are interested in hiring a Xi’an interpreter in China, leave us a quote, and we will assist you.